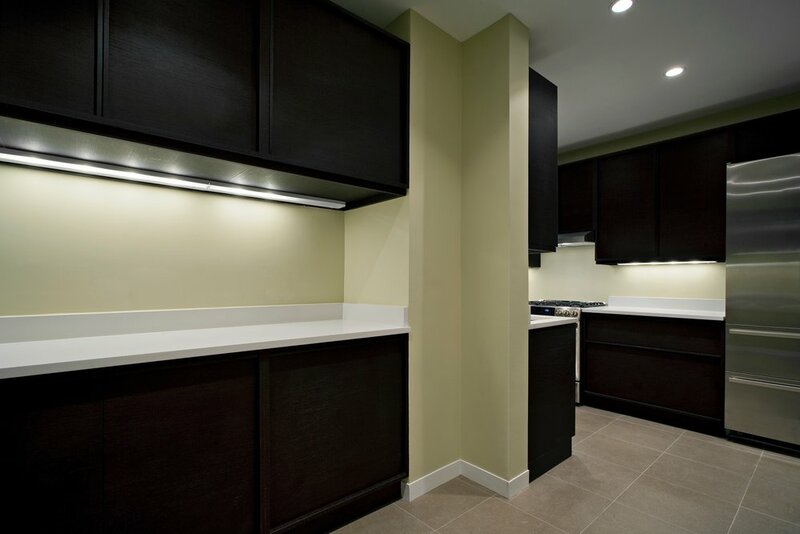 A reconfiguration of the kitchen, maid’s room, laundry room and powder room of a large Riverside Drive apartment. The existing maid’s room, was incorporated into the kitchen to greatly expand its size and functionality. 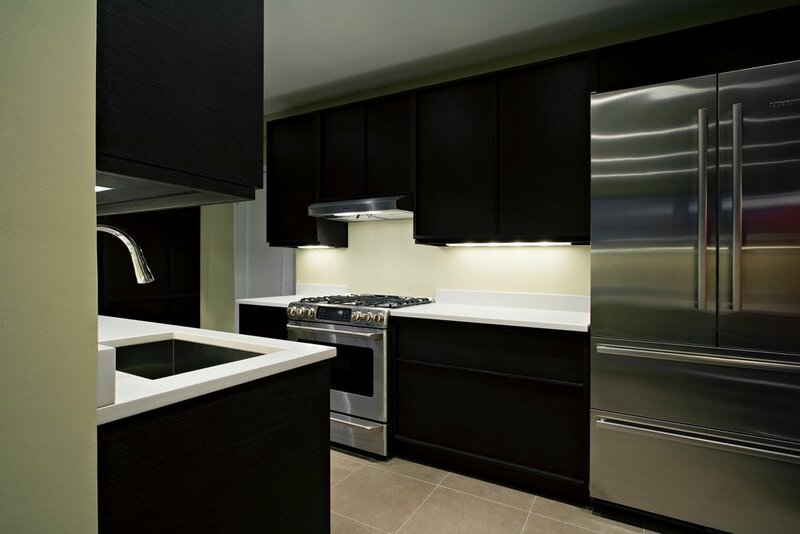 This was the first installation of kitchen cabinetry by Design Within Reach and required close collaboration to adapt their system to the dimensional realities of the typical New York City kitchen.